Karen Blakeman on what can go wrong when you use Google for serious research - and how to avoid the pitfalls. Google! The search engine we love to hate. Or perhaps that should be the search engine we hate to love? Despite weird results and Google's penchant for completely rewriting our search we go back to it time and time again. Are we gluttons for punishment or is it because Google usually does deliver the goods? After all, if it was that bad we'd all be 'Binging' instead of 'Googling'. Google may not be flavour of the month at the moment, having just announced that it is killing off Google Reader, but it is still the dominant search engine in most countries across the world. There isn't one if, for example, you are looking for local restaurants or need directions to the nearest pub. It works - most of the time. OK, it occasionally recommends that I swim across the Thames to reach my destination, but I have to confess I have sold my soul to Google when it comes to local search. It can all start to go wrong, though, when you indulge in a spot of serious research - and I don't mean where you can find the best tapas in Caversham. Tracking down academic papers, government reports or market data should be easy enough but it can all go horribly wrong. There are five things you need to remember when using Google. 1. Google personalises your results taking into account your previous search and browsing activity across the whole of Google. So, watching those cute kitten videos is going to skew your research into feline polydactyly in the veterinary literature. Cure: use your browser's private browsing option or a Chrome incognito window. 2. Google automatically looks for synonyms and drops terms from your search if it thinks the number of results is too low. Cure: use Verbatim to make Google run your search exactly as you have typed it in, or prefix a single search term that must be included in your strategy with 'intext:'. 3. Google web search does not search everything. It has two indexes: the main, default index and the supplemental index. The supplemental index contains less popular, unusual material that may be exactly what you need for your specialist search on environmental influences on lupin growth. Cure: use any advanced search command or Verbatim to trigger a search that includes the supplemental index. 4. Google changes its search and ranking algorithms several hundred times a year. Cure: not a lot we can do about this but learning how the search tools and commands work can help you beat Google into submission. 5. We are all Google's lab rats. Google constantly tests changes to its algorithms on us in "live experiments". Every time we use Google we may be subjected to up to 12 experiments (http://searchengineland.com/just-testing-google-searchers-may-see-up-to-a-dozen-experiments-141570). That probably explains why Google once decided to turn my search on goat sanctuaries into one on buttercup identification. Cure: Chrome incognito, private browsing, Verbatim, advanced search commands. If those don't work then be unfaithful and use another search engine such as DuckDuckGo (http://duckduckgo.com/). Karen Blakeman is a trainer and consultant specialising in search and social and collaboration tools. 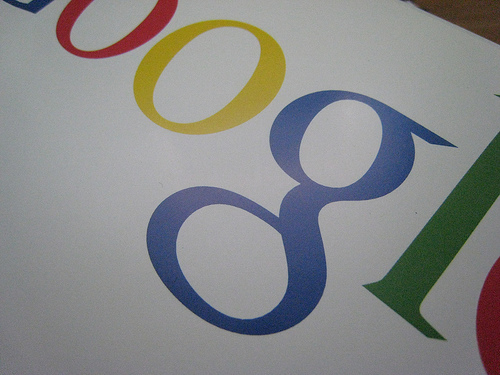 Her forthcoming UKeiG training course, Make Google Behave, takes place in Manchester in April 2013. Image courtesy of Mallox via Flickr.